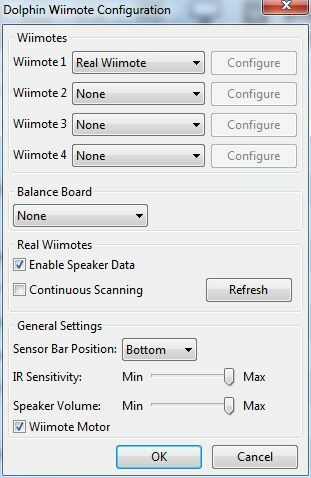 i turned WIImote audio off , i turned it back on and it wont come back help ! the game im playing is WII Sports ( Bowling ) , i was using the Engine DSP LLE and the sound was crackling / breaking up during play so i turned it off. i did a google search the other day and found that someone used the Engine DSP HLE and the crackling went away , so i tried it and now i dont get any WIImote audio in HLE or LLE. ive tried many ways to get it back but am stumped , anyone know how i can get the audio back to my WIImote ?